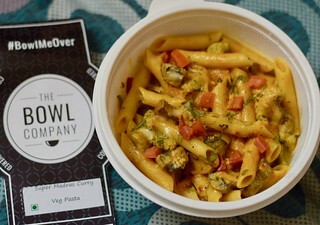 The Bowl Company is the private brand of Swiggy. They have cloud kitchens at various locations in Bangalore serving delicious food in comfortable and convenient fashion. I love The Bowl Company for the super convenient meals. They serve Indian, Chinese and Continental food as a one-bowl meal. You can order at home or work, and eat the delicious food without any discomfort. Bowl company has an amazing chance to win IPL tickets this season. There is a range of delicious T20 Special Bowls. I would urge to try those on. Your chance to win IPL tickets increases with the number of T20 special bowls you order. 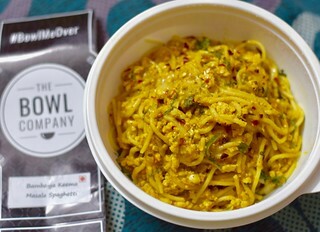 I have been a regular customer of Bowl Company, and I have tried a lot of their bowls. 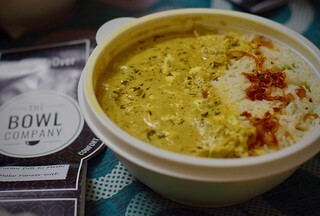 From the Indian section, I love the Nani ki punjabi kadhi chawal, rajma chawal, methi malai paneer with rice and laal maans(mutton) with jeera rice. In the continental section, they have an excellent keema spaghetti, veg pasta and piri-piri chicken and rice bowl. Bailey’s chocolate mousse and monk’s tiramisu are my favourite desserts from the selection. It can be ordered from Swiggy. The food is currently available in select locations in Bangalore as of now and will soon be available at more locations. PS: I am a Swiggy employee, but I am a foodie first. My review of The bowl company is absolutely genuine and unbiased.